US bond yields are spiking today. You might expect me to celebrate it and say this is great (while everybody else are freaking out…) Well, you are right – it doesn’t worry me the least bit. That said, the US story is not necessarily the same story as the Japanese story. Hence, while Japanese real yields actually have declined sharply US real yields continue to rise as break-even inflation in the US has actually declined recently – most likely on the back of a positive supply shock due to lower commodity prices. But obviously higher real yields should only be a worry if it is out sync with the development in the economy – as in 2008-9 when real yields and rates spiked, while at the same time the economy collapsed. However, if the economy is in recovery it is only naturally that real yields and rates start to rise as the recovery matures as it certainly seems to be the case in the US. Yes, that is correct. Greenspan was thinking that the Federal Reserve should (or actually did) target NGDP growth of 4.5%. Furthermore, he (indirectly) said that that would correspond to 30-year US Treasury yields being around 5.5%. Who is the best central banker – one who is very busy with his job or one who is spending most of his/her time on the golf field? The answer is the golfing central banker is the best of the two because if you are very busy you have probably not been doing your job in a proper fashion. The task of any central banker should be to ensure nominal stability and not to distort relative prices in the economy. The best way to ensure nominal stability is through implementing a monetary policy regime based on very clear, transparent and automatic rules. Central bankers that do that will not have a lot to do as the markets would do most of the lifting. This is in fact what happened during the Great Moderation – both in the US and in most of Europe. During the Great Moderation the markets’ had a high level of trust in the credibility of central banks in the US and Europe and in general it was expected that these central banks would deliver nominal stability. In fact markets behaved as if the Fed and the ECB were targeting a NGDP level target. This meant that what central bankers basically had do was to put on the central banker outfit (a dark suit and a not too fancy tie) and then say things that confirmed the markets in the expectation that the central bank would ensure nominal stability. There would be lot of time for golfing in that scenario. If the central bank is fully credible and monetary policy follow clear rules (for example a NGDP level target) then the central bankers are unlike to be busy – at least not with monetary policy. Monetary demand would simply move up and down and more or less ensure the fulfillment of the nominal target. However, if the central bank is not credible then there will be no time to spend on the golf course. Lets say that the central bank has a NGDP level target and the NGDP level moves above the target level. In the case of the credible central bank the markets would expect the central bank to act to bring down NGDP to the target level. 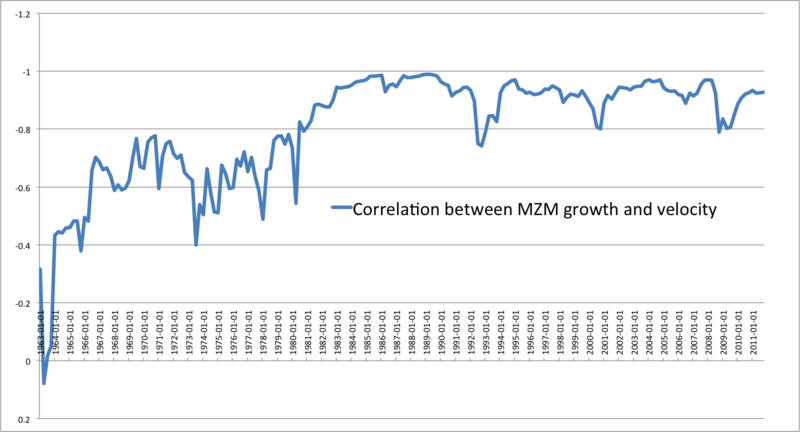 Hence, market participants would expect monetary policy to be tightened. This would lead to a strengthening of the country’s currency and a drop in stock prices. Similarly as investors and consumers expect tighter monetary policy they would expect the value of money to increase. As a consequence investors and consumers would increase money demand. All this would automatically slow NGDP growth and bring back the NGDP level to the target level. In the scenario with a 100% credible target the central bank would not do anything other than look serious and central bank-like and the market would take care of everything else. Changes in money demand rather than in the money supply that would ensure the fulfillment of the target. On the other hand if the central bank is not credible then market participants would not expect the that the central bank would bring the NGDP level back on track. In this scenario the central bank would actively have to change the money supply to push back NGDP to the target level. 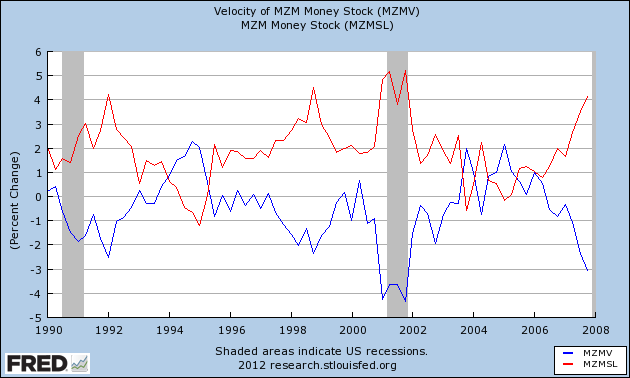 In fact it might have to reduce the money supply a lot to counteract any moves in money demand. Hence, if NGDP increases above the target level and the central bank does not act then market participants would in fact think that the central bank will continue to increase NGDP and as a consequence money demand will drop like a stone. Therefore the central bank would be very busy trying to steer the money supply and would likely not succeed if it does not gain credibility and money-velocity would become increasingly erratic. 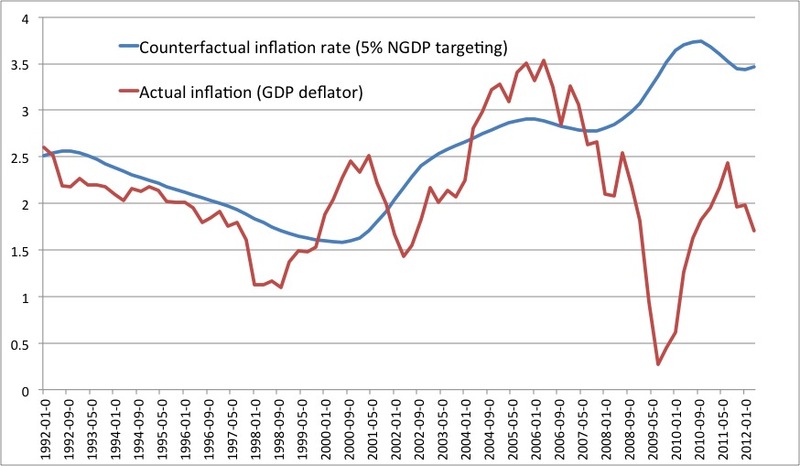 This is why inflation normally increases much more than the money supply in the “normal” hyperinflation scenario. This might be a caricature, but look at most central banks in the developed world since 2008 – they have been very busy and they have to a very large extent been busy micromanaging things. And regulators have not made their job easier. So why is that? They are simply no longer credible central bankers. There is no time for golfing because the focus has been on micromanaging everything rather than on recreating credibility. It is time for that to change so central bankers once again will have time for golfing – and the global economy finally can move out of this crisis.